Let’s take a moment to talk about the self-published market that has blown up thanks to Amazon and Kindle related technologies. Anyone can now publish their own work for people to read and pay for, and this is immensely awesome. We no longer have the elite few publishers acting as gatekeepers between writers and the public. But to paraphrase Ratatouille, “everyone can publish, not everyone necessarily should”. This new market has plenty of weird inter-species erotica to dig past to find the serious authors, but even then you’re facing books in desperate need of an editor. Long winded, repetitive and lofty allegories about things Redditors blame for the downfall of modern society (organised religion, gender equality, etc.) and Mary Sue adventures in post-apocalyptica are the order of the day. 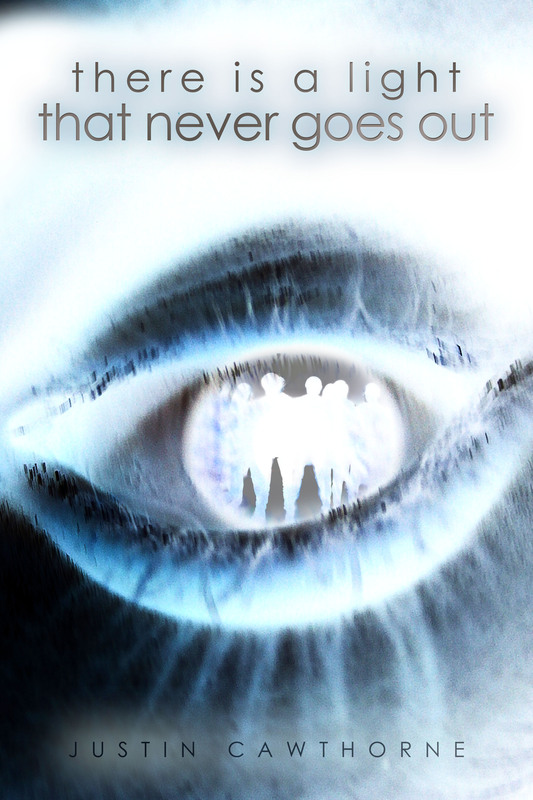 For that reason ‘There is a Light That Never Goes Out’ by Justin Cawthorne gets a shiny gold star for being a tight genre thriller with an original thematic device. It doesn’t say more than it has to and is first and foremost about atmosphere. We begin with Alice, the personal assistant to a CEO of a major corporation, rebuffing his sleazy advances. Shortly after that all hell breaks loose and Alice finds herself among a small group of survivors in an underground complex filled with their co-workers attempting to bludgeon them to death. The company’s project, a rage inducing virus both transmitted and triggered by light, has been deployed and all but our five characters have been infected. They have to find a way to escape the lock down and bring threat to attention of the authorities before being infected themselves or torn to shreds. What separates ‘There is a Light That Never Goes Out’ from similarly themed horror stories is the use of light as a threat. When exposed to light the infected fly into a homicidal rage, forcing the survivors to seek out darkness as a refuge. Author Cawthorne has used this to great effect, especially in the second part of the story where the entire complex has the lights disabled. Descriptions of flailing into the pitch black, coping with the all encompassing void and sense of disorientation creates a wonderful sense of dread, making this a story you’ll want to read in the dead of night to fully appreciate the effect. The addition of a character with a phobia of the dark ups the stakes, but more interesting is the inclusion of a blind character who is used to managing in the dark. This role reversal of the disabled character being the most capable in an emergency situation is an innovative switch up. The story is at its best in the self-contained sequences of the characters trying to find their way from one end of a room to the other in pitch darkness, knowing that there’s a danger but being unable to look out for it. The point of view switches from character to character giving us glimpses of what each is experiencing without ever revealing the full picture. Moments like these are packed with suspense and unpredictability, as no one character is completely safe. As we noted before the story doesn’t say anything more than it has to, which benefits the tone and flow of the story. It also brings in one small flaw with the narrative, in that it feels very closed off from the world. We can see how this services the story, but we lack the context of the outside world the characters are fighting to reach and protect from the outbreak. Perhaps a brief prologue of Alice arriving at work or going through her morning routine would help in that regard. Get yourself a copy RIGHT HERE or RIGHT HERE. It only costs a buck! ← Did ‘Scream’ Work as a TV Series? This sounds a bit like House of Leaves, which I absolutely love so I will definitely be giving this a read! Cheers for bringing it to my attention. House of Leaves has a very unique presentation, but the themes of claustrophobia ring true!